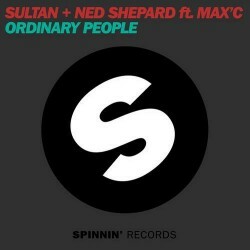 Sultan + Ned Shepard have released an anthemic progressive house track today off one of the most well known and admired dance labels, Spinnin’ Records. The Canadian duo did quite well in 2012, claiming a residency at XS in Las Vegas and releasing a number of productions, like “Walls” and “Somebody To Love”. Their first track of the new year will be sure not to disappoint, greeting fans with big room elements, warm expansive chords, and epic vocal riffs. Max’C’s dulcet tones really take over this track and lend it a classic vibe that transports a listener to the golden days of vocal house. Here’s hoping this track provides a preview of what is in store for 2013.